When we communicate with people from a racial or cultural background different from our own, there’s always the chance we might commit a “microaggression” – a verbal or nonverbal cue that conveys disrespect or bias. Having the tools to discuss the issue is important to fostering a more inclusive workplace. Learn how to have these conversations with Dr. Caprice D. Hollins, co-founder of Cultures Connecting. Tuesday, July 31 | 9:00 a.m. to 4:30 p.m.
Join the Nonprofit Staff Development Coalition to receive discounts for workshops and to become part of our committee that suggests future topics. At this interactive workshop, you’ll learn what racial microaggressions are, study strategies for interacting with people who’ve experienced a microaggression, and increase your comfort in having these courageous conversations. Prepare to have your eyes opened to things you are doing, which are harming others, that you may be unaware you are doing. Dr. Caprice D. Hollins has over 20 years of experience working with ethnically diverse populations, providing mental health services, facilitating workshops and teaching graduate courses as an adjunct professor at several local universities. She is currently an Affiliate Professor at The Seattle School of Theology & Psychology. 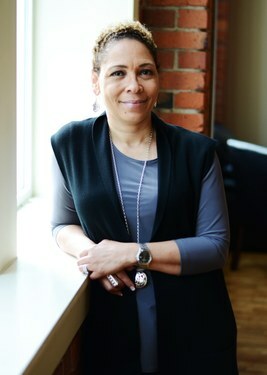 After serving as the Director of Equity, Race & Learning Support for Seattle Public Schools for four years she co-founded Cultures Connecting, LLC, providing culturally relevant professional development workshops, keynotes, leadership coaching and consulting services to organizations seeking to improve their skills in effectively engaging all cultures. She co-authored Diversity, Equity, and Inclusion: Strategies for Facilitating Conversations on Race.